Our business partners offer expertise, solutions, and services to support the goals of our and maybe also your company. Want to become a leadtributor partner as well? If so, just e-mail us: partner@leadtributor.com. We are looking forward to hearing from you! SC-Networks is an e-mail service provider and manufacturer of Evalanche. As a specialist for e-mail-marketing, SC-Networks supports agencies and major enterprises. As a CRM marketing specialist, AVANCE provides for more leads, successful closing and customer loyalty, assisting you to gain decisive competitive advantage. FLYMINT faces the challenge of digitizing sales and marketing by providing modern lead management solutions. Strike2 consults you in every aspect regarding the digitalisation of markting and sales, lead management and the strategic implementation of technological changes. Phocus Direct Communication GmbH specialises in Sales & Marketing Intelligence and helps you to generate leads, new business and more sales. e-Raumwerk is a professional agency that focuses on automating your customer dialog. As an inbound-marketing-agency, chain relations helps you optimizing your lead-generation in order to supply you with new customers in long-term. The field-marketing-specialists for IT and IT-Security of Mensch!Marketing will assist you in Germany, Austria and Switzerland. The Bevermann Group supports your company in growth-critical segments and aims for more marketing success. Since 1992 WerbeHaus AG offers consultation, conceptualization and realization of your performance marketing. The focus at this is the B2B-dialogue IT and HighTech. The entergon GmbH & Co. KG from Frankfurt am Main is a full-service-provider for CRM and dialogue marketing. The young technology-enterprise implisense GmbH is a leading provider of Sales Intelligence for B2B-sales. The wiredminds GmbH supports you in your online lead-generation and sales automation. 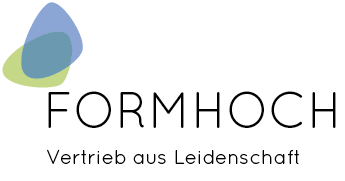 The Formhoch GmbH offers accountable outsourcing of your sales activities and secures the growth of your company – Sales with passion. As an agency for digital value creation, the Park7 GmbH develops online-marketing-strategies for your business model. Gölz & Schwarz has been known on the market for 20 years as a provider of marketing solutions – get professional consulting how to improve your sales funnel. As one of the 100 largest agencies in Germany, kuehlhaus AG is responsible for creating your corporate website, your portal or your online shop.